As many of you know, my organization CleanBirth.org works to make birth safer in Laos, which has among the highest rates of maternal and infant mortality in the world. 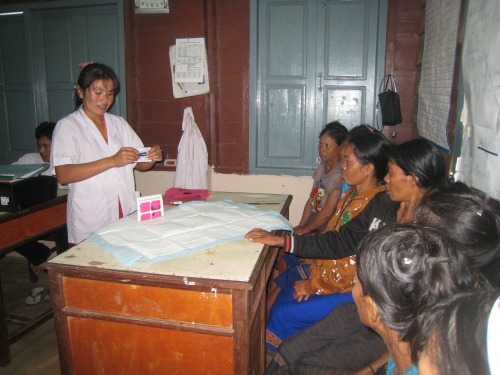 Due to the generous support of so many of you in 2013, with our local Lao partner Our Village Association, CleanBirth.org provided 2,000 AYZH Clean Birth Kits, served 150 villages, trained 15 nurses and 20 Village Volunteers. The training of the last group, Village Volunteers, is particularly exciting. The nurses we train about Clean Birth Kits and safe birthing practices, have begun passing their knowledge to women from each remote village. The nurses explain how to use and distribute the Clean Birth Kits, as well as how to track their use with a picture data sheet. They cover topics like safe pregnancy, the importance of having a partner during delivery (many women birth alone) and the importance of exclusive breastfeeding. A government representative who attended the Village Volunteer training in December 2013 was impressed and said, “We need more of these trainings throughout the Province.” That kind of validation from the government is essential to scaling up the project. In another positive development that will enable us to expand training for nurses and Village Volunteers, CleanBirth.org has formed an alliance with the Yale University School of Nursing. In July 2014, Yale Midwifery students will teach 30 local nurses the World Health Organization’s Essentials of Newborn Care. The Essentials are: clean birth, newborn resuscitation, skin to skin newborn care, basic newborn care and breastfeeding. This information will then be incorporated into the Village Volunteers training. By providing access to the midwives from Yale, our Lao partners, the local nurses and Village Volunteers will have more tools to improve care for mothers and infants. This promotes our mission to make birth safer by empowering those on the ground with the training and resources they need. We want to maximize the Yale Midwifery visit in July 2014 by raising $8,250 to fund the training of 30 nurses. To that end, CleanBirth.org is launching a crowdfunding campaign from February 4 – March 4. 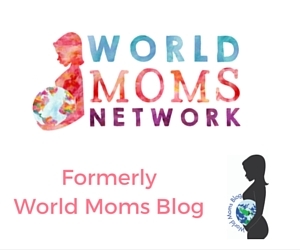 We are so lucky that World Moms Blog has signed on to support us again this year. During last year’s crowdfunding campaign WMB raised $685 and tons of awareness. Please join us February 6 from 12-1 EST and 9-10 EST for a World Moms Blog & CleanBirth.org Twitter Party to talk about making birth safe worldwide. It is easy to join in by going to tweetchat and entering #CleanBirth. What do you think is in a Clean Birth kit? Click here to find out! I love the idea of “gifting” clean birth kits at baby showers and other celebrations. Such meaningful gifts. I will be supporting this initiative for sure! Thanks for making it all happen! Great work Kristyn! Thanks Alison! It means so much to you have your support!! Kristyn — I’m looking forward to World Moms Blog helping you kick off your crowd funding in February!! I love hearing about the great work you are doing and congrats on the partnership with Yale! Thanks! You are the best! So grateful for your support as we embark on another year of making birth safer in southern Laos! Just amazing and so inspiring!!!! 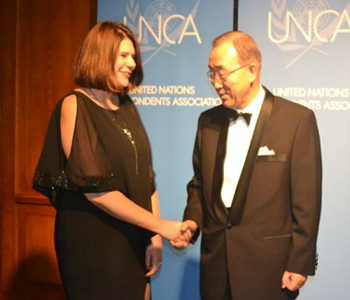 Fantastic news Kristyn! I am so excited that the first year was such a huge success. Thank you! It is amazing what we can accomplish when we tap the power of the mamas! !